New Changes to the Pricing Manager! In preparation for our new ASIN creation tool, we are making changes to our pricing manager navigation! 1. Integrations and Create links has been removed from the dropdown menu and replaced with a plug icon in the upper right-hand corner. 2. 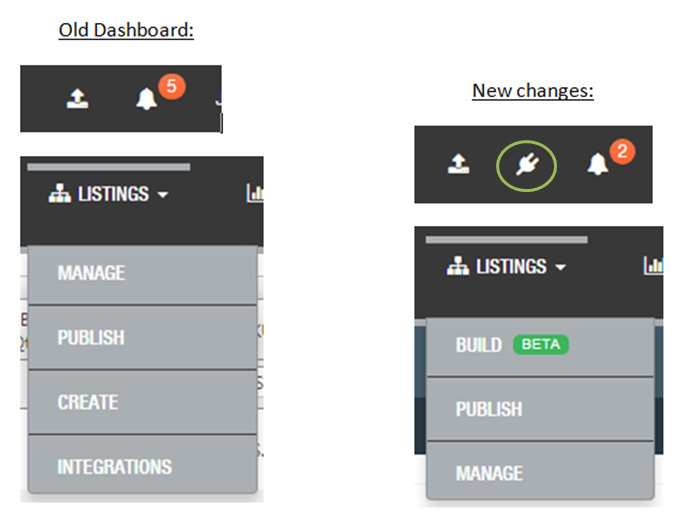 With re-organization of the Listings, Dropdown menu is now BUILD, PUBLISH, and MANAGE. 3. The BETA ASIN Creation program to SellerActive is now added to the drop down. To be a part of the BETA team simply click on the BUILD BETA and fill out the application. We will reach out to the BETA team to offer them access to the new ASIN Creation tool once approved. If you have any questions please contact our support team at Support@selleractive.com.